I am sure that you all enjoyed the January luncheon as much as I did. Once again I was fascinated by the stories from Eddie Neylon, which had us all on the edge of our seats with some sad and amazing adventures. Luckily Eddie still has many more tales left to tell, so I hope that we are able to entice him back next year. Our speaker at the February Luncheon will be our very own Darren Tibble from DC Employment. I have seen Darren speak many times and he has never failed to make employment law interesting and funny. Employment law is something that all our members may become involved in at some point or another, so what better way to keep up to date than over a delicious meal and fantastic wine at the Chewton Glen, amongst great company. As you may know Tricia and Stuart Percival will not be joining us for the February luncheon as they are enjoying a well deserved holiday. I hope that they have a fabulous time and we look forward to hearing all about their adventures at the March luncheon. I look forward to seeing you all in February. Employment Law and Brexit – A Look into the Crystal Ball. Darren will be talking about his experience as an employment lawyer and how the dynamics of the laws to protect employees’ rights have changed recently, with a particular look to the future and what impact Brexit is likely to have on employment law. Darren is an employment law specialist with nearly 20 years of experience and has been recognised in both the Legal 500 and Chambers &amp; Partners for his legal skills. He advises on all areas of contentious and non-contentious employment law for a wide range of employers including large public listed companies, universities, housing associations, local authorities and SMEs. As a litigator, he is a very experienced strategist and negotiator. Darren is also well known for his regular broadcasting and commentary on employment law either through his blogs or seminars. 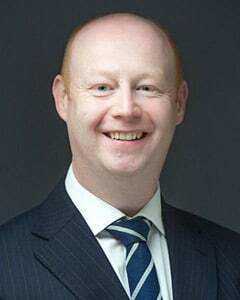 Darren’s work includes advice on complex disciplinary, dismissal and grievance processes; redundancies, restructuring and collective dismissals; TUPE; appointment and termination of senior executives; discrimination, diversity and equal opportunities; Employment Tribunal litigation, mediation and dispute resolution; High Court litigation and enforcement of restrictive covenants; and trade unions, collective disputes and industrial action. Darren is a member of the Employment Lawyers Association and speaks fluent French. When he’s not at work, Darren is a keen mountaineer, cyclist and rugby fan. Darren is from DC Employment Solicitors who are based in Southampton and specialise in employment law. Their team of highly qualified, professional and friendly specialist employment lawyers are dedicated to working with clients to find bespoke (and often unique) solutions to workplace challenges. This entry was posted in News and tagged brexit, Darren Tibble, Employment Lawyers Association, europe, southampton on January 31, 2017 by splice.